“An eye for an eye leaves the whole world blind.” These are the words of Mahatma Gandhi. “Darkness cannot drive out darkness; only light can do that. Hate cannot drive out hate; only love can do that.” These are the words of Martin Luther King Jr.
Their names alone conjure up the images of leaders of history that invoked change through what they called “Peaceful Militancy”. However their words define what was on their hearts; words that moved others to action with a desired peaceful result. History attests to the fruitful results of such civilized methods of protesting injustice and corruption. These men are remembered well for it and may be considered heroes of history. “Crazy with fury I will stain my rifle red while slaughtering any enemy that falls in my hands! My nostrils dilate while savoring the acrid odor of gunpowder and blood. With the deaths of my enemies I prepare my being for the sacred fight and join the triumphant proletariat with a bestial howl!” These are the words of Ernesto Che Guevara he wrote in his famous essay and their effect is quite different than those of the former. 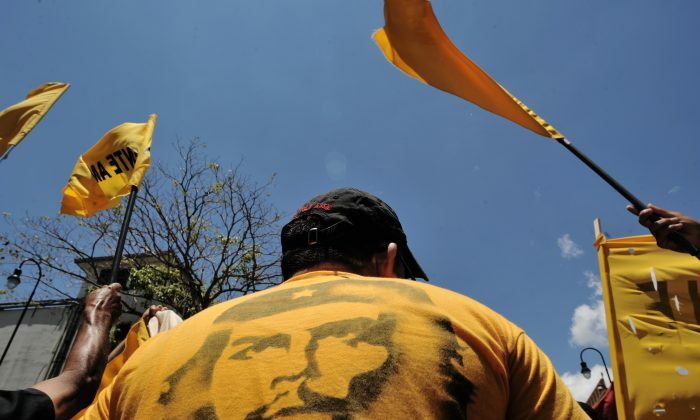 Pop culture hits and symbols like the “Motorcycle Diaries” and Che T-Shirts aside, many wonder if people will remember the man for who he really was and what his methods for change were. Some remember him as a Latin American leader akin to the civil rights leaders of history. Still others that lived through the Cuban revolution, imprisonment and witnessed the executions have told quite a different story. So what images does the name Ernesto Che Guevara evoke in people’s minds? Is he a great leader of the past? Did he make a positive impact on the human condition? What do we really know about Ernesto Che Guevara? When asked many are surprised by how little they really know about him. Although he is claimed to be a doctor from his homeland Argentina, he never did graduate from medical school. In fact he dropped out to join the fomenting Marxist revolution in Cuba funded by the Soviet Union. 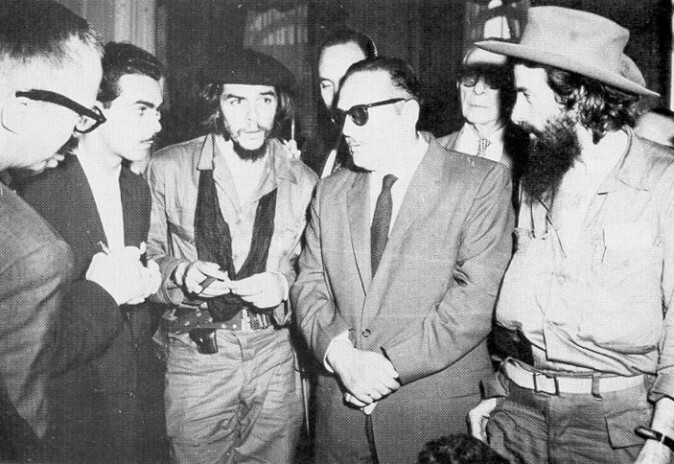 Upon his arrival in Cuba, Fidel Castro was the reigning leader of the militant left ready to overthrow the corrupt regime of Fulgencio Batista, the 17th president of Cuba. Many of the early leaders of the Cuban revolution favored a democratic government, but Che and Castro were well known hard liner supporters of Soviet communism. As Castro gained more power, the democratic supporters had less of an influence eliminating the chances of a future democratic process. To invoke the Berlin Wall built by his comrades from Russia, was a testament to the process of dealing with dissidents and the elimination of opposition of the newly formed communist Cuban dictatorship; and eliminate they did. Through these newly formed labor camps, Che ordered the death of hundreds of thousands of helpless Cubans including women and children as young as 14 years old. He personally executed over 180 individual people, though some say much more fell at his own hands. A special detail at the camps was appointed to deal with the “gay problem” as they were imprisoned as well and journalists were given no free voice as promised. Following the takeover of the government, this newly formed Soviet backed regime created a police state that incarcerated a greater percentage of its people than Joseph Stalin’s regime. During the Kennedy administration in 1962, after much debate as to whether the Soviets even had any involvement with the Cuban revolution or its development of its government, Russian Premier Nikita Khrushchev worked with Castro to place nuclear-armed ballistic missiles in Cuba, ending one debate by beginning a new one. Two years later in 1967 Che traveled to Bolivia to foment revolution where ironically not a single peasant joined him or the Soviet Revolution. Also ironically he soon found listening ears within the Middle upper class instead and they soon followed him in killing thousands of innocent Bolivians in a short lived rebellion. Soon after Bolivian police hunted him down with aid from United States Intelligence and brought him in. Apparently his captors didn’t agree. He was dealt with as he dealt with countless others, sent to the firing squad and executed. At a screening at the Sundance film festival for the movie, “Motorcycle Diaries” based on Che’s book, the audience stood and enthusiastically applauded. Some have asked if they know what they are applauding… or whom? Those who support Che in Hollywood and leftist circles in Academia claim in response that Che Guevara was a free thinker and an idealist revolutionary. Supporters have also claimed that the revolution was long ago and Cuba is better off now. As of this writing though, a tremendous social struggle is boiling in Cuba. Dissident liberals have demanded fundamental human rights from their communist leader and in response all but one leader has been imprisoned. Among those imprisoned is an important Cuban journalist who was sentenced to 20 years in prison. He has spurred a new type of revolution by Cubans campaigning to establish a system of independent libraries across the country free of state control. The country struggles with a shortage of informative reading material following the hundreds of book burnings led by Che following the revolution. Totalitarian repression has fallen on this campaign as well. Is this the “Free Thinking” Che’s supporters had in mind? To those that proudly wear the iconic picture of Che on their t-shirts, it must be asked is this the “Idealism” they had envisioned? Is this the man that is revered by those that choose to Idolize him in film? Che’s form of communism, which he learned from his mentors the Soviets, has collectively claimed the lives of over 100 million people over the last century and counting as the Chinese Communist regime resumes its policies. That is two times the entire death toll of World War II and 16 times the death toll of the infamous Nazi death camps. With such a bloodlust for violence and an obvious hatred for true freedom and the democratic process, Ernesto Che Guevara clearly does not have the ingredients of a leader in history we would call a hero, not by any stretch of the imagination. Was he a murderer? He is only identified as such by his own action and words… and he doesn’t seem to mind. Truly he was the “Cold killing machine” he urged others to become. Someday someone will make a film to remember those that have died at the hands of the “Cold Killing Machine” of communism, and condemn their executioners. Then… real history will be known. Communism is estimated to have killed around 100 million people, yet its crimes have not been compiled and its ideology still persists. Epoch Times seeks to expose the history and beliefs of this movement, which has been a source of tyranny and destruction since it emerged. See entire article series here. “The Teacher” combines critically examines of the Communist experience and its effect on the day to day—here on children and their parents.